Have you ever noticed that the protagonists of the TV shows Bones and New Girl not only look pretty similar, but have almost the exact same voice? That’s because they’re related. 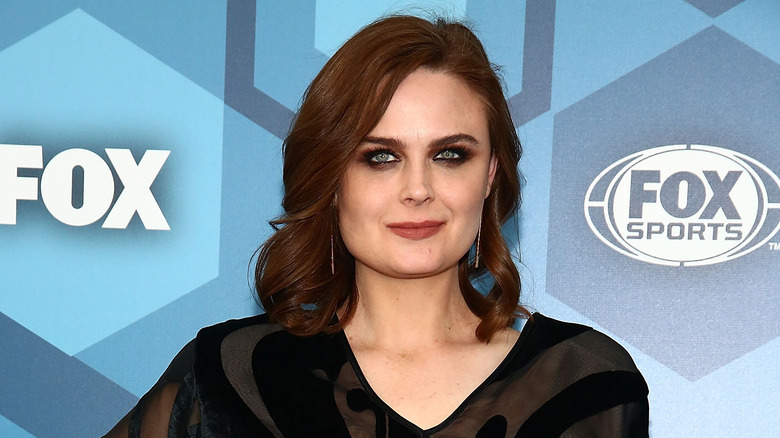 Emily Deschanel, who starred on the Fox procedural Bones for 12 seasons, and Zooey Deschanel, who currently stars on the sitcom New Girl, are sisters. Individually, they’re each highly successful actors, and together, they’re an inspiring pair who support each other in their tough industry. From their childhood in LA to their adulthood as TV stars, here is the untold truth of the Deschanel sisters. By college, Emily had gotten fully on board with acting and decided to study theater at Boston University. Big sisters often tease their younger siblings and it’s no surprise that for the Deschanel sisters, the teasing involved acting and layered characters. Emily confessed on Conan that she used to try to scare Zooey by pretending to be a murderous alien. While Emily says the two “get along now very well,” it wasn’t always that way. It makes sense that the parents of two successful actresses would also be in the entertainment industry. 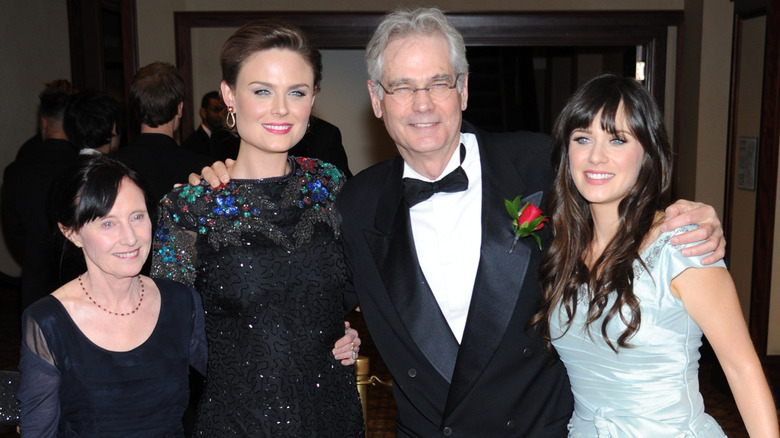 The Deschanel sisters’ mom, Mary Jo Deschanel, is an actress too. Her professional roles go all the way back to 1967, and she’s appeared in notable projects like Twin Peaks, The Patriot, and The Right Stuff. Their father, Caleb Deschanel, is a successful cinematographer. He’s been the director of photography for more than 20 movies, including National Treasure, Being There, and Fly Away Home. He’s been nominated for five Oscars, most recently in 2005 for The Passion of the Christ. Impressive family! In 2015, Emily and Zooey both had babies within two months of each other. They swear it wasn’t planned, but those little Deschanel cousins will get to grow up with a cousin who’s the exact same age. In June 2015, Emily gave birth to her second child, a baby boy, with her actor-writer husband David Hornsby. Soon after, in July, Zooey gave birth to Elise Otter, her daughter with producer husband Jacob Pechenik. Emily told Jimmy Kimmel, “It’s wonderful. We couldn’t have planned it better. It’s amazing. Except for the fact that we even work on the same lots and we bring our babies to work and yet it’s so hard to get them together.” She elaborated, “Cause one will be down for a nap and then one will be up and then vice versa. They take so many naps.” Emily also has an older son and Zooey later gave birth to a second child, Charlie Wolf, in 2017. The first time the sisters got to work together professionally wasn’t until 2009. 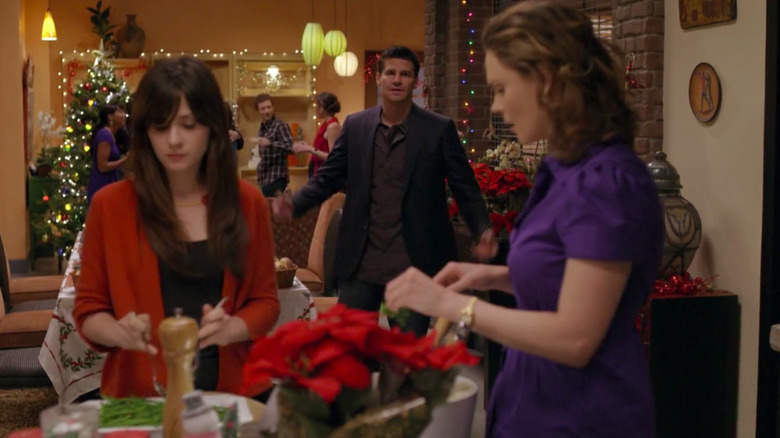 In the fifth season of Bones, the Fox procedural drama that Emily starred in for 12 seasons as forensic anthropologist Dr. Temperance Brennan, Zooey guest starred in the show’s holiday episode. In “The Goop on the Girl,” Zooey played Margaret Whitesell, a cousin of Emily’s character. While Emily has never appeared on Zooey’s Fox comedy New Girl, as of this writing there are still eight episodes left before the series ends. Maybe Emily will appear as Jess Day’s cousin to complete the circle? The Deschanels are not the only successful sisters in the limelight and they look to other sibling pairs as role models. When asked which ones they admire, Emily named the Kardashians (“of course”) and the Arquettes (who she says are “cool”). Zooey pointed to Mary-Kate and Ashley Olsen as well as Kate and Laura Mulleavy, the sister fashion designers behind the label Rodarte. Imagine all the sister crossover possibilities among these extremely enviable families! These sisters are not only close metaphorically, they’re also often close physically. According to E!, Emily and Zooey used to “live next door to each other in adjoining duplexes” in LA. Variety has even more info about the digs — the publication discovered that the sisters used to co-own a “a picturesque 1920s Spanish-style duplex building near Hancock Park” that they sold for $1.4 million in 2011. Co-owning a million-dollar duplex is kind of like the celebrity version of sharing bunk beds. Emily is a committed vegan who has refrained from animal products since she was a teenager. She told Vegetarian Times that animal rights are so important to her that she requested “that there’s a character to present the case for animals in every episode” of her TV show, Bones, when it was on the air. She said some of her favorite vegan dishes are seitan piccata and lemony roasted potatoes from the Veganomicon vegan cookbook.